Hello! Wow, it's been a while hasn't it? I'm still working on projects but just have been too busy to blog about them. 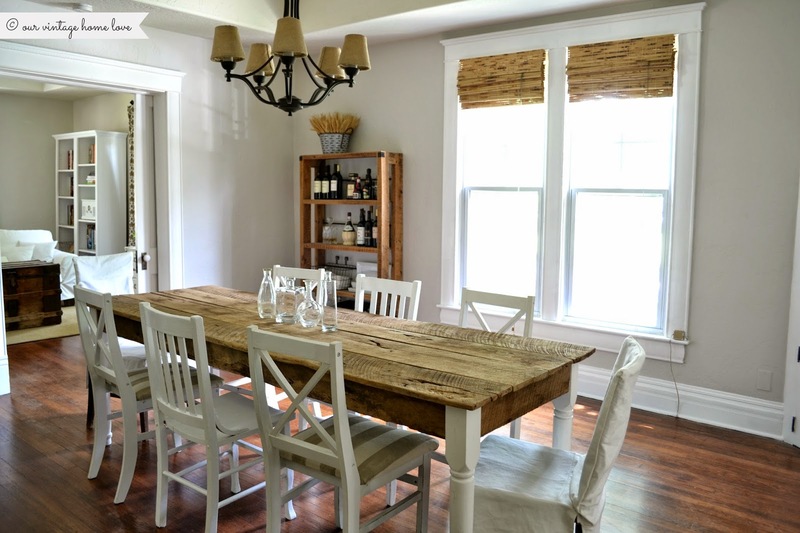 This past month, hubby and I worked on a couple of dining room projects and I wanted to share them with you here. 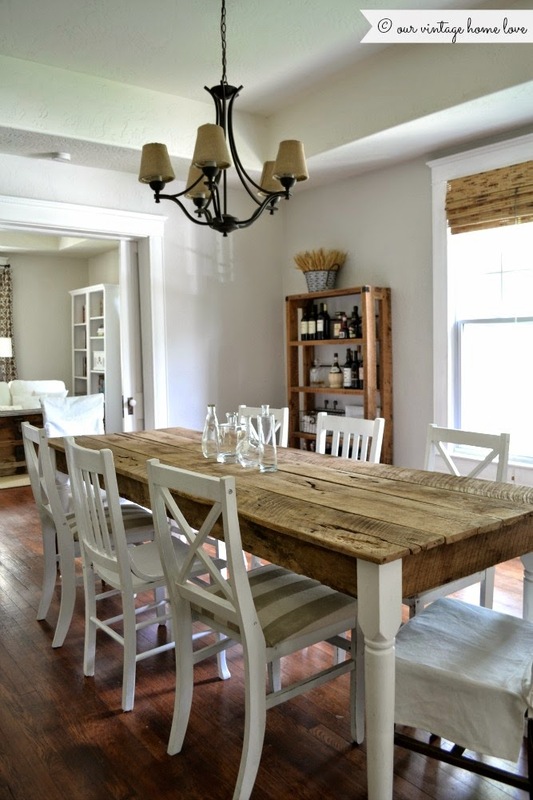 First up, a longer, more rustic dining room table. 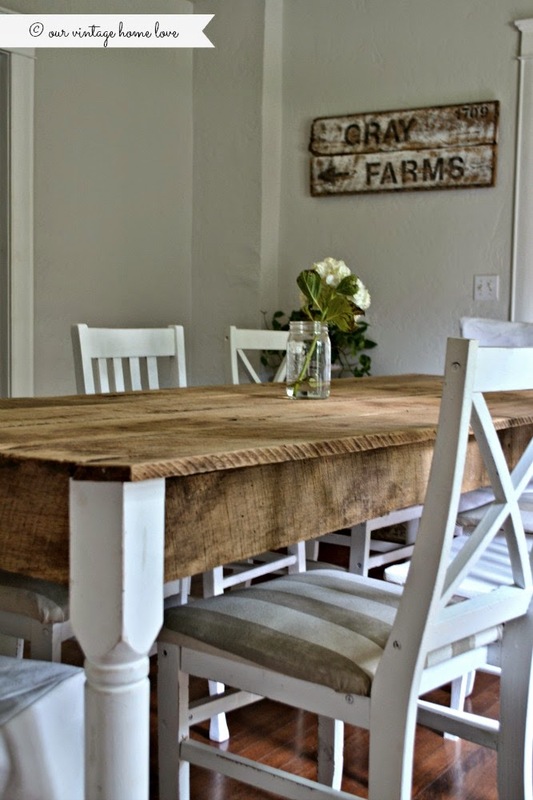 Since our home is over 100 years old with our dining room being one of the biggest rooms in the house, I've always envisioned a long, very worn looking farmhouse table to go in the room. Something that looked like it had been there all those years, with all kinds of history and stories behind it. 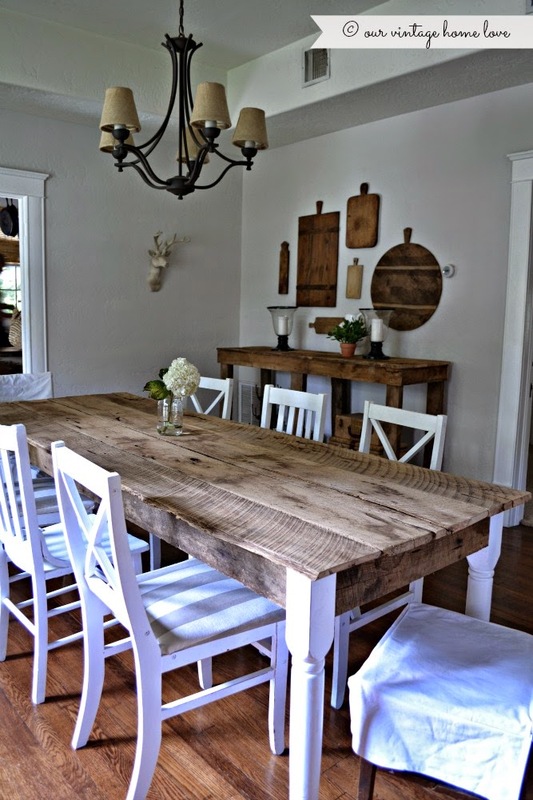 I had tried to create that several times with two different dining tables that I had built but I was never completely happy deep down with them. But I am now. I love what my hubby and I created, using the beautiful white table legs that my dad turned himself before he passed away. 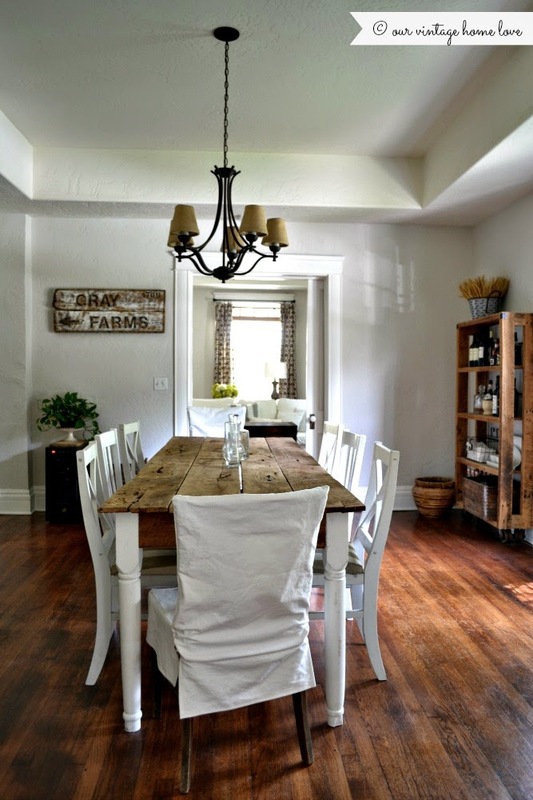 We used barn wood from a very old barn in the country. We cleaned and sanded it smooth. I wanted to leave the table and sides raw so that's just what I did. Our children are no longer little so I'm not worried about it getting stained or ruined. After we use it, I just wipe it down with a damp rag. Because the wood is very old and worn, imperfections will not bother me. For those wondering, this table is 8 feet long and 3 feet across. I adore all the cracks, worn edges and nail holes. To me, that creates lots of character. To build the table, I followed the same process that I shared here. 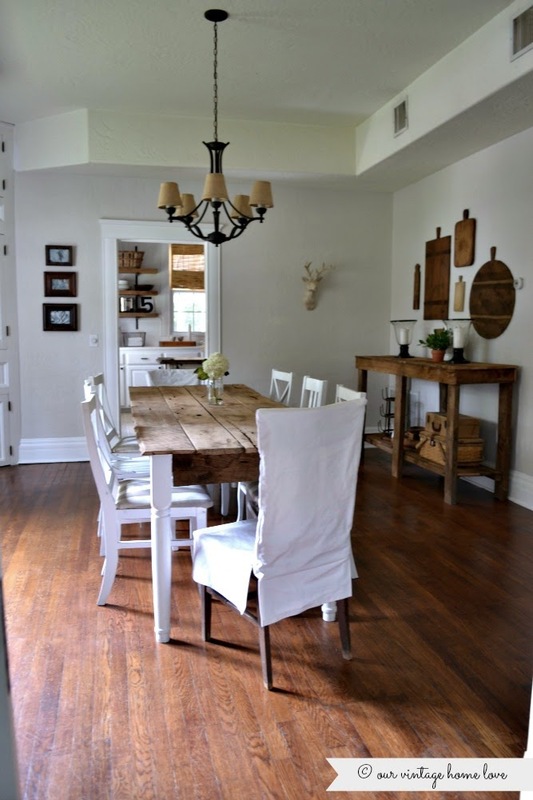 The other project we worked on together was a very rustic buffet that we also built from the same barn wood. 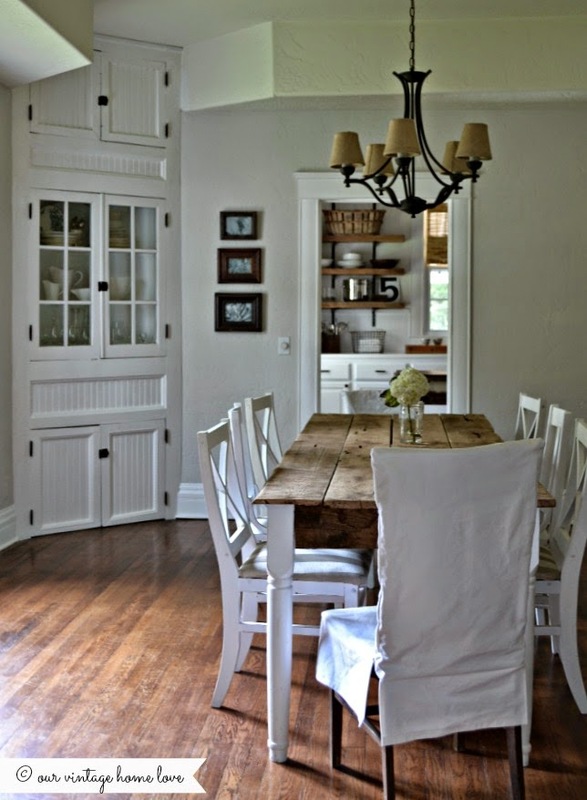 Very simple and rustic, which is what I like. And both projects cost us absolutely nothing other than time and sweat as we had all the materials. I love projects like that.